The best way to welcome long-time-no-see friends is with chocolate, yes? It was a delight to go back to familiar faces after 7 months apart, to sat in the same chair and felt the slippery wooden table, big enough to share for two. The recipe stated for one teaspoon of extract, but The Boys (I studied Business, majoring in Marketing and strangely trapped in a class with majority of testosterone bearers) felt that it was too strong. I did exchange the usual vanilla with almond and felt that the vanilla version was so much better. I still love the heady crunch of toasted almond on top of the blanket silky chocolate though, whatever the extract would be. I am going to move out from my parent’s house to my friend’s house next week, (which is closer to my university) but sadly have no oven installed. I will miss that special air in the house that only exist when you have a cake in the oven and that crips on the outer ring of a cookie that only homemade one has. But I also think this would be a fun challenge to come up with no-bake desserts. I can see it already: popsicles, puddings, custards, ice creams (yes, no oven but I will haul my ice cream maker with me) and so on. 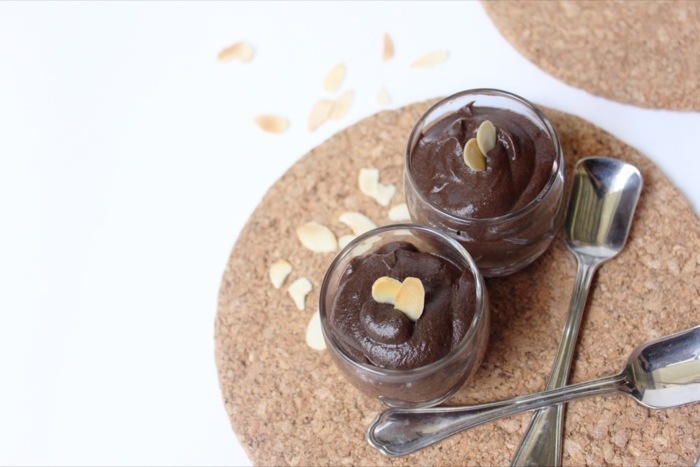 This chocolate mousse also do not require oven, just eggs, chocolate, cream and love, like the love you have for friends that you hold dear. I have always been afraid of making anything involving raw egg yolks, afraid that it would turn into a dessert with stinky smell. 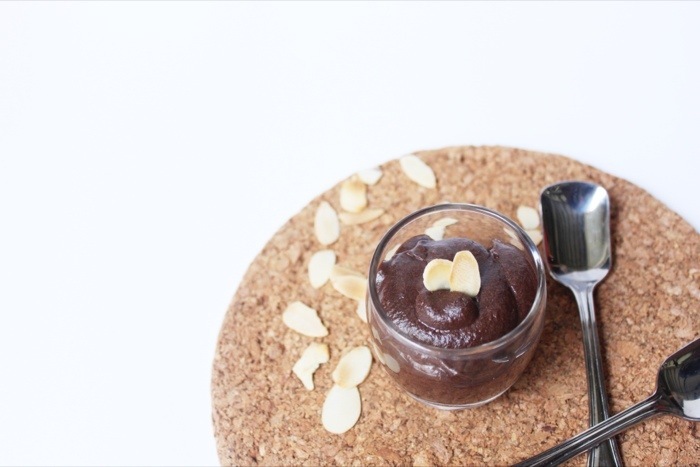 This chocolate Mousse is anything but. Thick and soft at the same time, it is a great comfort coming home knowing there are bowls of this mousse after a hard daywork. I don’t like really cutting chocolate bars and get both of my chopping board and knife smeared brown if I don’t have to, so what I usually do is leave them on the wrapping paper and smashed the heck out of them with a rolling pin. It can be very therapeutic. Tip the chocolate chunks into a heatproof mixing bowl or a double boiler, then add the butter. Leave to melt, stirring occasionally. Meanwhile, add the sugar and the extract to the whipping cream, then whisk until it reached soft peaks. Separate the eggs, pour the whites to an empty mixing bowl and gently mix the yolk to the whipped cream. Add a pinch of salt to the egg whites and whisk really well until stiff. The best way to test it is to slowly and carefully tip the bowl upside down. If the fluff of egg whites doesn’t fall off, you are good to go. Set the egg whites aside. Gently fold the egg whites through with a spatula. Spoon them into your serving vehicle of choice. 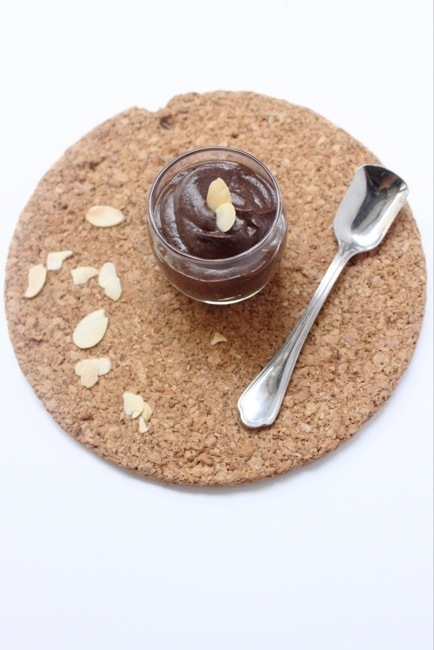 Toast some almonds then scatter few of them on top of the mousse. If you’re serving right away, put into freezer to set, 10-15 minutes. If not, let it sit in the fridge to set, 1-3 hours. Next Post Another Year, Another Hello. 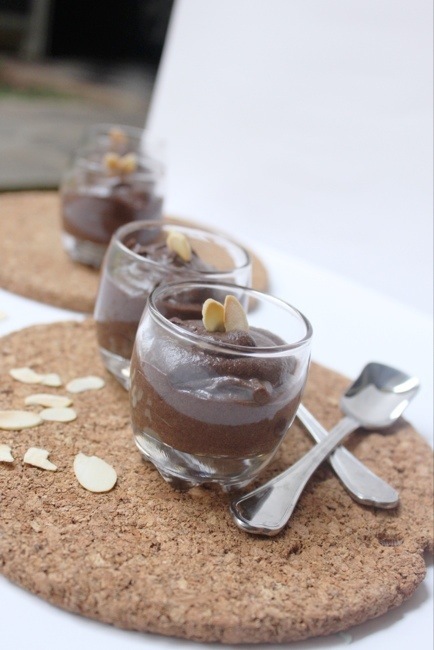 chocolate mousse is such a classic! a delicious classic and yours looks totally delish. I think chocolate is the best way to greet anyone 😉 This looks great!